Project update 10/02/2016: unfortunately our request for expressions of interest failed to reach the necessary levels by a considerable margin. 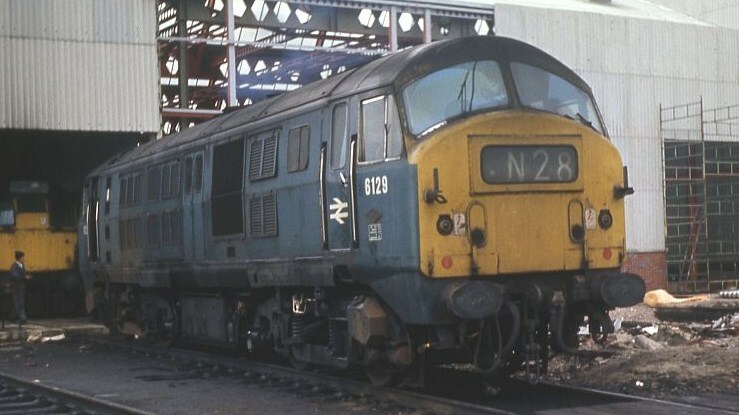 Neither the class 21 or class 29 had sufficient support to justify production. To be frank both locos were significantly below production minimums. 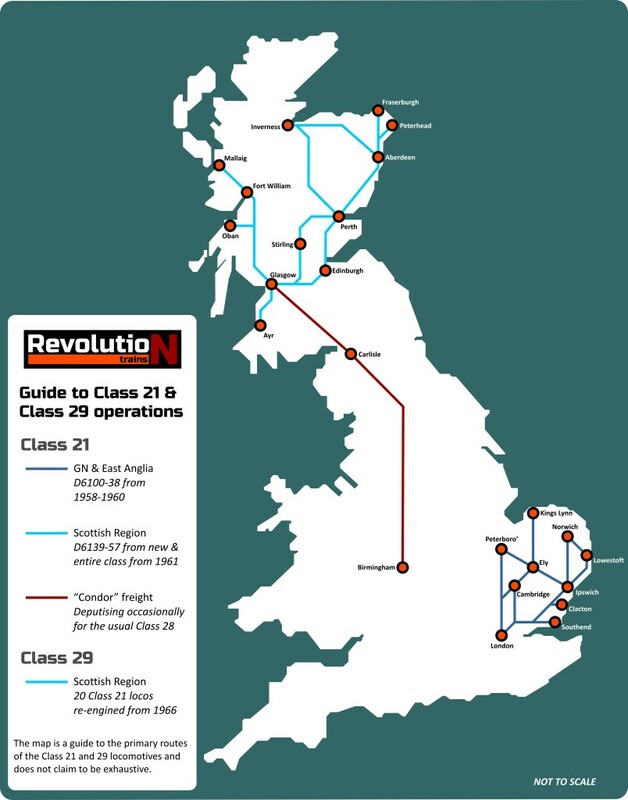 Even in the situation where we only produced one of the classes (and customers had agreed to swap their interest to that class (it would have been a class 29 as it was approximately 50% more popular than a 21) we would still have been significantly below the minimum production run. We will continue discussions with Dapol to encourage them to produce this missing loco and we will let our supporters know if there is any progress. From 1958-60 the North British Locomotive Co. built 58 type 2 Bo-Bo diesels, later given the TOPS code Class 21. The first 38 went to the Eastern region; the remainder to Scotland. Soon all were transferred north of the border. Due to reliability problems 20 locomotives were re-engined in the mid 1960s and designated Class 29. This improved their performance but all were withdrawn by 1972. Those locomotives converted to Class 29 received a new Paxman engine and a two-tone green livery. A 4-character headcode box was also fitted to all except D6123. Our models will feature appropriate detailing and lights. When introduced all locomotives were in plain green, with disc indicators and nose connector doors. From the early 1960s half-yellow warning panels were added. Our model depicts the first 38 with cabside droplights and no tablet catchers. 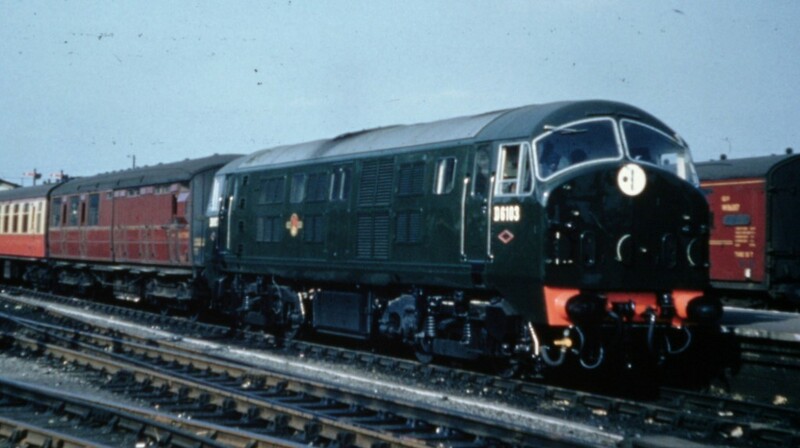 The 20 locomotives converted to Class 29 emerged from works in two-tone green. All except one were fitted with 4-character centre headcode boxes. They were also given a revised yellow warning panel and, later, full yellow ends. A handful were painted blue; with the BR totem on the cabside or the doors. Models to be produced by Dapol. Guide Price: £110, £205 with DCC Sound. The Class 21/9 locomotives are an attractive choice, and with the Farish Class 24 & 25, Dapol Class 26 & 27 and the forthcoming DJM Class 17 “Clayton” will complete the roster for numerous N Gauge Scottish layouts. For a short-lived class they had a surprising number of liveries, and we are hoping to design the tooling so that certain idiosyncracies of particular individual locomotives can be depicted. We have decided to work with Dapol on this project as they have already produced the very well regarded North British Class 22 locomotive. Although these locomotives were shorter and had different engines and bogies the cab ends were virtually identical, so we are confident they will be able to capture the character of these locomotives well and incorporate distinctive features such as the spoked wheels. If you’d like to see this model produced please declare your interest here. No money will be taken. We need 1200 orders to proceed, so please don’t delay!